The Deputy Gov­ernor of Borno State, Alhaji Zan­nah Umar Musta­pha is dead. Mustapha died in neigh­bouring Yola, Adamawa State capital, where he had gone to represent Borno State at the convocation cer­emony of Modibbo Adama University of Science and Technology, Yola. A statement signed by Secretary to the Borno State Government, Alhaji Usman Jidda Shuwa, said the late Deputy Governor died in his sleep, but one of his aides said he might have suc­cumbed to heart attack. “It is with deep sense of utter shock and disbelief, but with complete submission to the will of the Almighty Al­lah that the Borno State Gov­ernment hereby announces the passing away of His Excellency, Alhaji Zannah Umar Mustapha, the Deputy Governor of Borno State. He died in his sleep this morn­ing in Yola, Adamawa State where he was to represent Borno State Government at the convocation ceremony of Modibbo Adama University of Science and Technology, Yola,” the statement said. 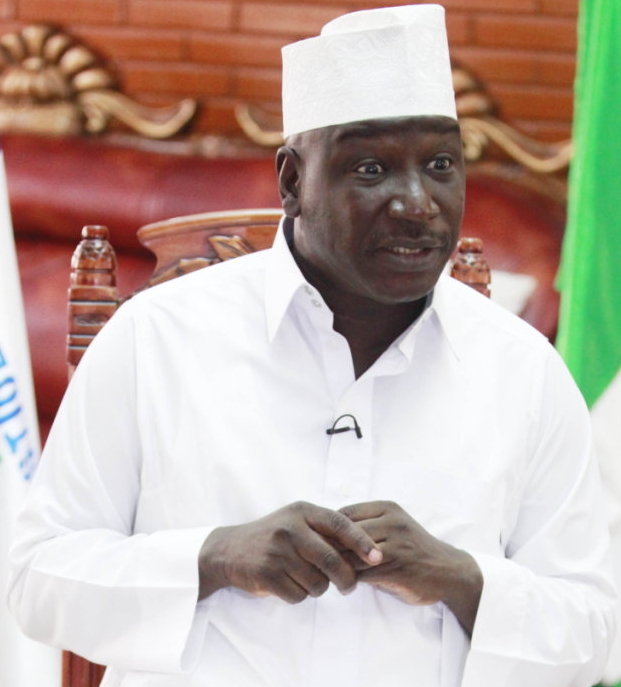 The statement from Borno Government further said Zannah Mustapha was equally in Yola to follow up on his earlier visit, in con­nection with the welfare of Borno State citizens dis­placed by Boko Haram in­surgency. The Government ex­pressed the “heartfelt condo­lence” of the state Governor, Kashim Shettima, to the fam­ily of the late Deputy Gover­nor for the “irreparable loss” and urged indigenes to pray for the repose of the soul of the deceased.